In connection to the Jefferson Township (JT) Emergency Medical Services (EMS) levy, JT EMS sent its 30-day termination notice of the mutual aid agreement between it and Fayette County Memorial Hospital (FCMH) on April 2. Last year’s May 8 election included two EMS levies that were passed by the voters. 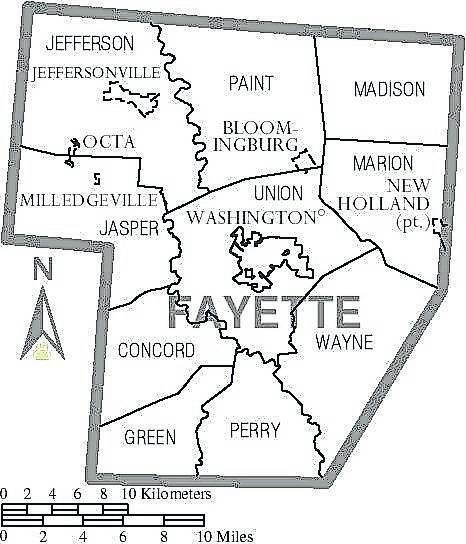 One levy secured funding for the Fayette County Ambulance and EMS service at 1.3 mills for three years. The other levy was for Jefferson Township Ambulance and EMS service at five mills. Due to these circumstances, property owners who live in Jefferson Township are being double-taxed. They are currently paying for the county-wide EMS services and the Jefferson Township EMS services. The purpose of the soon-to-be terminated mutual aid agreement is to provide emergency medical services to one another when needed. This could be during an emergency such as a tornado, when all emergency vehicles are already being used, or even if the geographical location of the emergency is closer to another provider. According to Fayette County Commissioner Dan Dean, there are mutual aid agreements in place with several surrounding communities. Fayette County Commissioner Tony Anderson said by terminating the agreement between Jefferson and FCMH, there will be no set obligation for JT EMS to assist in the case of need or emergency outside its area. He said he hopes they would still do so, but they would not have to. Hoppes said he understands that this can be helpful, but it has happened 17 times within the last three months, which he said is a little excessive. Jefferson Township wants to be able to pick up the patient and take them to the necessary location instead of waiting on Fayette County EMS to arrive. “Jefferson Township residents are paying good money to have squad service, which is needed. We’ve had 161 runs in three months [including the mutual aids and first responders]. It’s not that we’re ending our mutual aid, it’s just that we want to take the first responder out,” he said. According to the commissioners, there was a proposal to help with the double taxation. Money collected through taxes that was meant for the county-wide EMS was asked to be returned to Jefferson Township. As the county-wide levy was based off information for the entire county, including Jefferson Township, the commissioners explained they were concerned the loss of funding would cause insufficient revenue to continue providing service to the rest of the county. The commissioners expressed encouragement for Jefferson Township to form a joint township EMS district if they do not want to participate in the county-wide system. This would make it possible for the township to be excluded from a county-wide levy and therefore its taxes. When Dean was asked about the same topic, he explained the commissioners have been talking to the Fayette County Prosecutor’s Office in regards to this matter and have always been told it was up to the district to set itself apart, not the county. When Dean was informed of the miscommunication, he said, “We’ll have to discuss this further.” He said he would speak with the other two commissioners and they would have another meeting on the matter. For more information on this topic, previous Record Herald articles can be found and read online at www.recordherald.com. Follow the Record-Herald for future updates on this matter.